The Trials of Virtuous Succession have ended. Prince Andreus is king-and Princess Carys is dead. But even as he's haunted by what he did to win the throne, Andreus discovers that his dream of ruling only brings new problems. The people love his twin even more in death than they did when she was alive. The Elders treat him as a figurehead. And worst of all, the winds of Eden are faltering. The Kingdom of Eden is growing darker with each passing day. Brother and sister, former foes, must decide whether some betrayals cut too deep to be forgiven-and whether one will wear the crown or both will lose everything. PRINCE Andreus IS KINg--and princess carys is dead. But even as he's haunted by what he did to win the throne, Andreus discovers that his dream of ruling only brings new problems. The people love his twin even more in death than they did when she was alive. The Elders treat him as a figurehead, undermining him with their own rival agendas. And the winds of Eden are faltering, leaving both the city and Andreus's authority vulnerable to attack. Yet despite what everyone believes, Carys is alive. 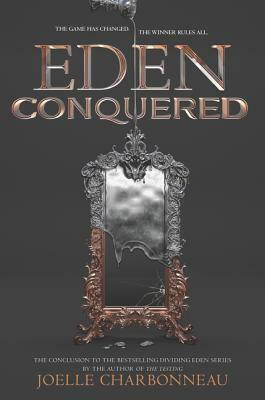 Exiled to the wilderness, Carys struggles to overcome the lingering effects of the Tears of Midnight and to control the powers that have broken free inside her. And as she grows stronger, so does her conviction that she must return to the Palace of Winds, face her twin, and root out the treachery that began long before the first Trials started. The Kingdom of Eden is growing darker with each passing day. Now brother and sister must decide whether some betrayals cut too deep to be forgiven.